Home News OPPO Smartphones OPPO Intros Reno and Reno 10x Zoom Edition! OPPO Intros Reno and Reno 10x Zoom Edition! 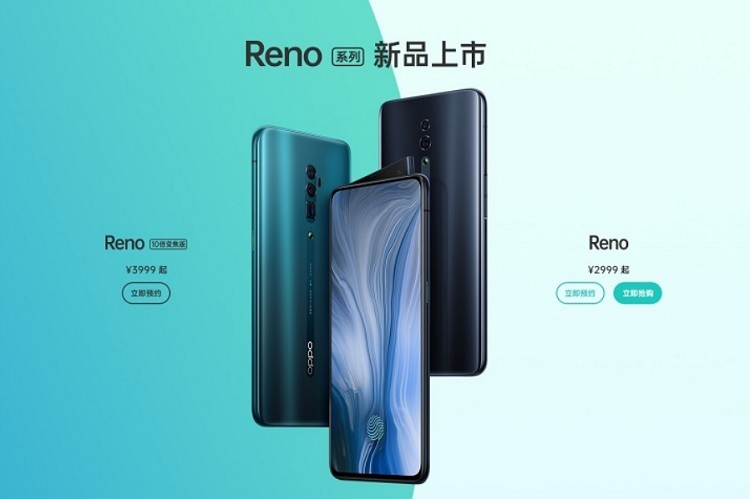 After waves of leaks and speculations online, OPPO has finally unveiled its latest Reno smartphone series, which is composed of the regular Reno variant and a more promising Reno 10x Zoom Edition model. The OPPO Reno and Reno 10x Zoom Edition are housed with similar design, however, the two handsets still manage to sport different offerings. 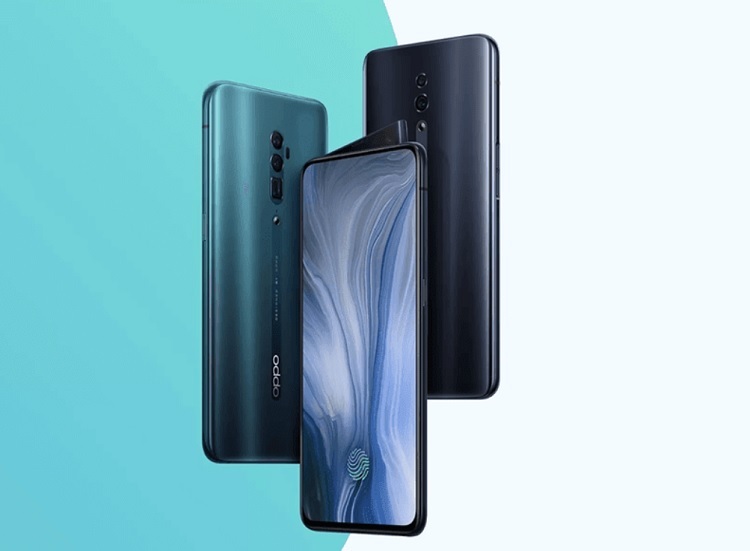 The OPPO Reno boasts a 6.4-inch AMOLED panel with FHD+ 1080p resolution. It comes with a real all-screen display through its pop-up selfie snapper with a unique design, and its in-display fingerprint scanner. Under the hood, it is powered by Snapdragon 710 octa-core processor, up to 8GB RAM, and up to 256GB storage. Jumping off to its photography department, OPPO equipped it with dual-rear camera setup composed of a 48-megapixel Sony IMX586 f/1.7 main sensor and a 5-megapixel f/2.4 DoF shooter. For selfies, it is mounted with a 16-megapixel pop-up snapper. Powering up the device, on the other hand, is a 3,765mAh battery that supports Super VOOC Flash Charge 3.0 tech. Meanwhile, the Reno 10x Zoom Edition is packed with more capable features. It has a slightly bigger 6.6-inch AMOLED screen with FHD+ resolution. Under the hood, it sports a Snapdragon 855 chipset, Adreno 640 GPU, up to 8GB RAM, and up to 256GB onboard storage. To keep the fun running, the device is juiced with a larger 4,065mAh battery, too. Unlike the regular variant, this model comes with triple rear cameras to deliver a 10x lossless zoom. It has 48MP main sensor + 13MP periscope shooter + 8MP super wide-angle lens. For selfies, it sports an elevating 16MP front camera.